Tom is an Attending Orthopaedic Surgeon at Brigham and Womens Hospital in Boston, MA, an Associate Professor of Orthopaedic Surgery at Harvard Medical School, and Director of the Cartilage Repair Center. Tom Minas received his medical degree from the University of Toronto and his Masters in Epidemiology from the Harvard School of Public Health. He completed his fellowship in Trauma and Joint Reconstruction at the Sunnybrook Medical Centre in Toronto, Canada and a Total Joint Arthroplasty fellowship at Brigham and Womens Hospital. Tom Minas is an internationally recognized leader in joint preservation approaches to treating knee OA. He performs surgery of the knee; arthroscopy, joint preserving osteotomies, partial and total joint replacements. 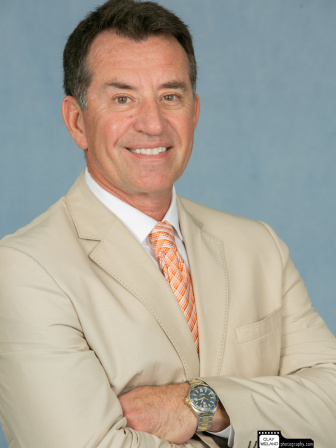 He is also an expert in cartilage repair and autologous chondrocyte implantation (ACI), having served on the Board and Education Committees of the International Cartilage Repair Society as well as the Chairman of the Cartilage Research Foundation. He is a member of the Knee Society, and in 2013, his team was honoured with the Insall Award for his work on Long Term Outcomes assessment of ACI in the knee. He is involved in the development of tissue preserving implants and instrumentation for knees targeted at joint resurfacing. His work in patient-specific knee replacement has led to the introduction of a family of tissue preserving, customized implants based on patient-specific imaging data to restore native articulating geometry. (International Society of Arthroscopy, Knee Surgery and Orthopaedic Sports Medicine, 2007), Honorary Fellow of ICRS (International Cartilage Repair Society, 2007), Honorary Member of Swiss Society of Accident Surgery and Insurance Medicine (2008) and Honorary Member of Swiss Orthopaedic Society (2009).